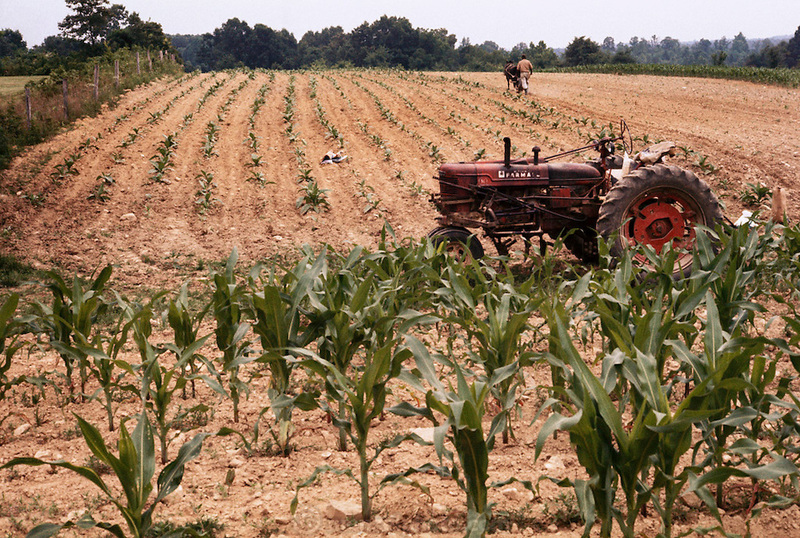 Tobacco - cultivating tobacco with a mule near Charlotte, Tennessee. The farmer's broken down tractor is in the foreground. USA.